The Eurosmart Cosmopolitan T, with its distinctive keyhole shape and smart design, is the perfect addition to sanitary facilities with more demanding architectural requirements. 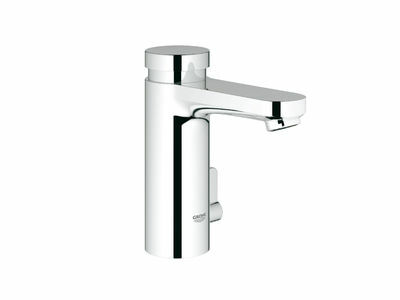 Discreet dimensions, a slimline body and fluid transition to the spout make this self-closing faucet a particularly economical alternative to single-lever mixers. The water flow stops automatically after the preset time has elapsed. The solution is also extremely hygienic, as there is no need to touch the faucet again to stop the flow after washing the hands.